The Idaho Canoe Kayak SUP Club was founded nearly 30 years by Jo Cassin and Stan Kolby of Idaho River Sports to provide a casual, social and non-intimidating way for people to learn how to enjoy paddling. From the beginning it has become a common adventure organization for outdoor enthusiasts who enjoy paddlesports, camping, wildlife and friendship. We welcome canoeists, kayakers, SUP boarders and river surfers! Trips are featured nearly every weekend from May through October. From calm flatwater to thrilling whitewater, the club's varied schedule has trips for all abilities and interests. 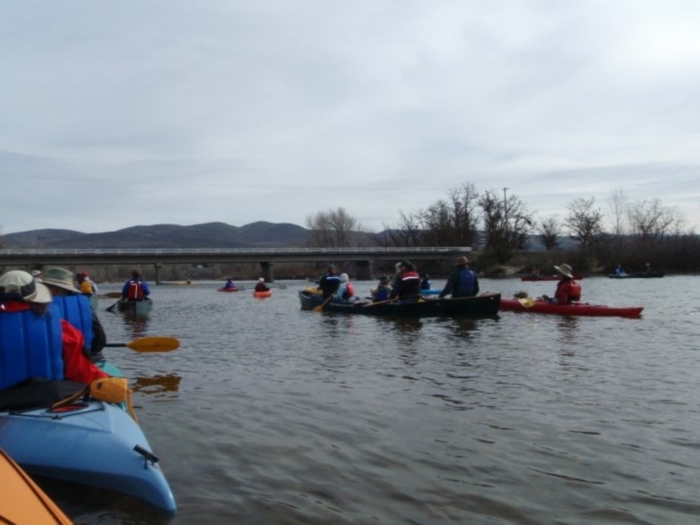 The Club typically does flatwater trips on the Snake and Payette Rivers; Payette Lake, Deadwood Reservoir and the Boise River. Annual trip favorites include the Hull 'o Ween Float, McCall Meanders and the Deadwood overnighter. Whitewater trips are open to members with the required skills and equipment. The Club always has a trip (or two) scheduled to take advantage of spring water flows. There are sure to be trips scheduled for the long weekends. The club's growing segment of kayak paddlers has a large appetite for new, varied and inviting waters. Basic Information - Trips are planned and in the calendar and notices are sent via email or on Facebook. Almost every weekend from April through October we will have events and trips for paddlers of all abilities. For descriptions of annual events click here. Trip requests and ideas can be posted in the club Facebook group page. Here's a sampling the events that are sponsored or supported by Idaho River Sports, plus events the club organizes. One of the things we love is motivated paddlers who are willing to take on organizing day outings, overnighters and special events. 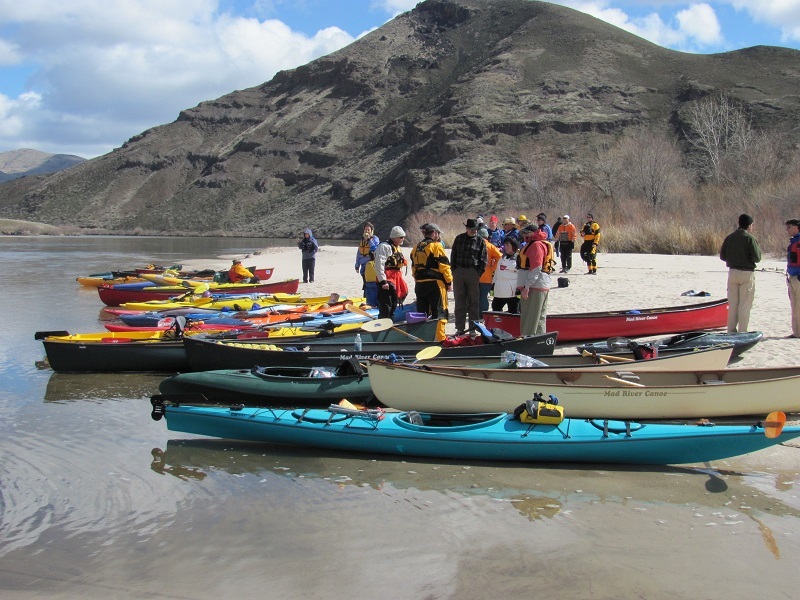 Idaho River Sport’s annual Spring event is Idaho’s premier paddlesports gathering. IRS invites recreation nonprofits and great paddlesports partners to display and talk about what they do. There’s food, fun drawings and factory representatives and pros on hand covering all aspects of paddlesports, programs and safety! For more info click here. 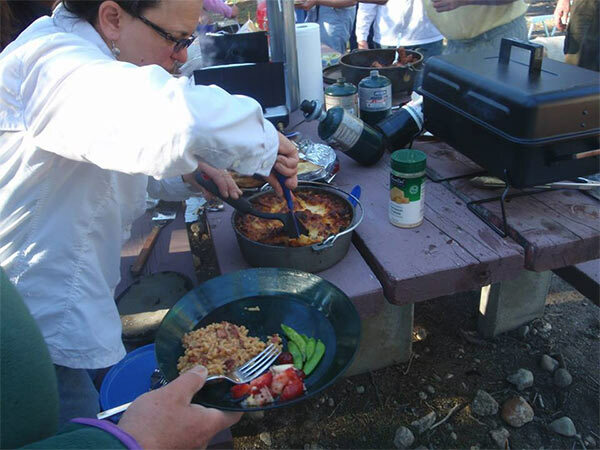 Saint Paddler's Day includes a usually nice paddle on the Main Payette between Montour and Black's Canyon Reservoir with a stop on the island for a potluck lunch! Our annual Mother's Day Paddle has been a club staple for over 25 years. 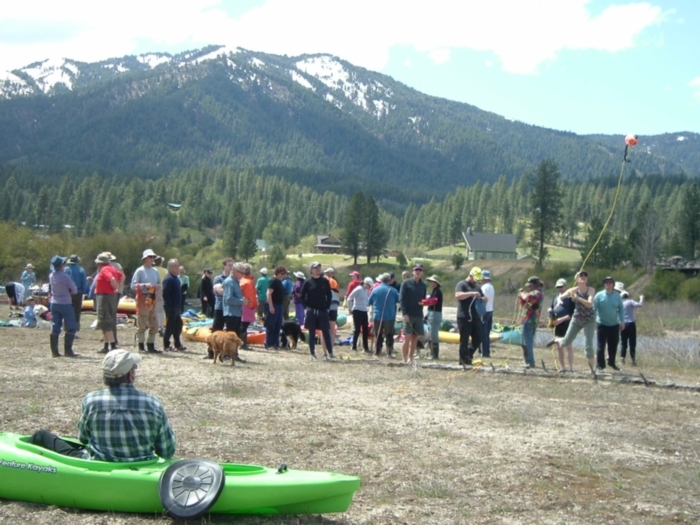 The paddle takes place on the Middle Fork of the Payette River conditions permitting. Weekly social paddles on the Boise River are reserved for typically Wednesday evenings in order to avoid the weekend crowds. A shuttle from Ann Morrison is organized and picnic dinner after the float is a tradition. Boise River Boogie is a duathlon for all ages. It starts with a 1/2 mile paddle on Quinn’s Pond followed by a beautiful 2 mile run/loop on the Greenbelt. All of the proceeds from the race go directly back into protecting the Boise River. Our season finale has been going on since the 1990 and brings together some of the most original paddling costumes anywhere! Dress up your boat or board, bring a dish to share and maybe you'll win a prize for your efforts! For more Hull-o-Ween photos click here. Below are the basics about the Idaho Canoe Kayak SUP Club. There are no dues or officers, no rules or regulations. Only common sense and a desire to enjoy paddling with other like-minded people. Trips are planned and in the calendar and notices are sent via email or on Facebook. Jo and Stan plan up to 4-6 events and outings per year not including the many Idaho River Sports events. Anyone can organize an outing. Just let us know and we'll assist if possible. Almost every weekend from April through October there will be events and trips for paddlers of all abilities organized by club members. Outings can be posted here, on the Idaho River Sports website and the club Facebook group page as well. If you have questions or any immediate needs, please feel free to call Idaho River Sports at 208--336-4844 or swing by!